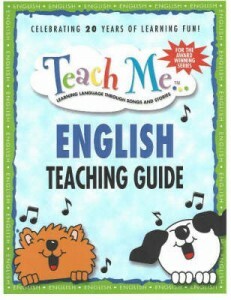 Teaching English One to One is a practical textbook for teachers carrying out individual lessons with students. There is useful advice plus lots of lesson ideas. One to one classes can provide the bulk of a TEFL teachers’ income so keeping students happy with engaging and structured lessons is all important. The book helps teachers plan a course of lessons as well as giving advice on what to include in that all important first lesson. Sample lessons are included to give teachers an idea of how to effectively structure a class. There are also useful tips on how to carry out need analysis for your learners. 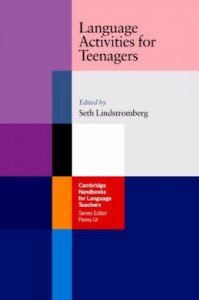 Language Activities for Teenagers is a useful text book for teachers that bridges the gap between young learners and adults. There is a lot of helpful information and fun activities for teachers who are running English classes for teenagers. The book starts of with a detailed chapter about how to maintain discipline and control in the classroom. This is good advice, particularly for teachers who haven’t experienced classes of young teenagers before! Following that are eight chapters of language based games and activities. They are ordered in terms of the particular skills you want to teach, as well as chapters on ice breakers, literature and debating activities. I recommend this book if you are about to do a stint at a summer school with teenagers. The students will enjoy the fun activities and you will be glad of the additional resource in addition to the often dry texts that many summer schools provide. Teach Me English Teaching Guide: Learning Language Through Songs and Stories is a fun and engaging exercise book for teaching English to children. The text covers basic language components children need to learn and packages this process in a really creative way. The songs used are well know and suitable for young learners all over the world. There are over 20 different songs in the book and they are put together with some nice illustrations, which help the students with understanding. It’s a great way to introduce some basic vocabulary and practice sentence structure. The exercises can be used for large classes too. Teach EFL is a helpful book for teachers embarking on a TEFL course or a career in teaching English as a foreign language. 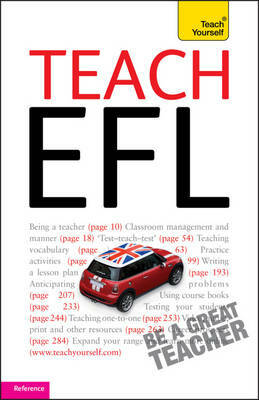 The book takes you through all the areas you need to get to grips with in order to become a competent EFL teacher. There are plenty of overviews to help new teachers quickly get to grips with the key principals. Also there are many teaching tips to build confidence in new teachers. Additionally Teach EFL is linked up with resources online to give teachers a broader background to teaching English as a foreign language. Teaching Languages to Young Learners is a thought provoking text offering useful advice to those teaching English to children. This book is written in an academic style and will be most useful to teachers who put value on their professional development. 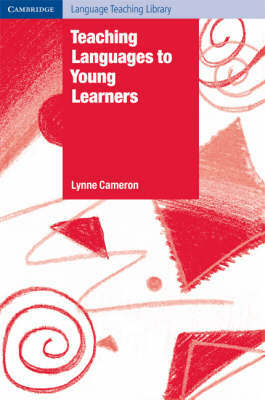 The book gives teachers a broad theoretical basis with which they can plan their young learners’ classes. The text covers ways in which to develop a child’s skills in English, as well as ways to assess and monitor their progress. Lessons from Nothing: Activities for Language Teaching with Limited Time and Resources is a great book for teachers short on time and with little or no resources. There are over 70 activities in the text. The majority are fun word games that focus on improving grammar and vocabulary. The most they require is that the students have a paper and pen, but many activities require no resources at all, not even photocopying! The exercises can be tailored to all levels but are generally more appropriate for lower levels. It’s a great book if you’re going to teach in Asia with large classes and minimum resources. Keep Talking is a useful ESL book for introducing communicative activities into the classroom. There are activities for all levels of English student. The text is split into two parts. The first part contains over 100 different exercises including role plays, interviews, guessing games and questioning activities. The teachers notes to go with each activity are well structured and include the aim, language level suitability and preparation time of each exercise. The second part of the text contains worksheets for many of the activities making them instantly usable in class. This book contains many exercises that will help reinforce grammar points and activities that will engage many different learning styles. Teaching English Abroad is a useful resource book for teachers looking for practical information on how to get TEFL teaching work abroad. 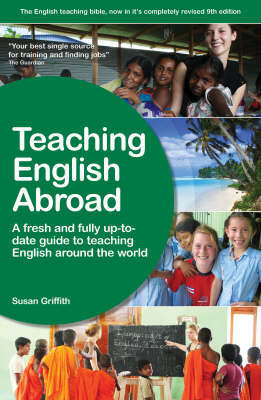 The book is split into 3 main sections; Teacher Training, Finding a Job and Country Guides. The training section explains the range of courses and how to choose the best course. The finding a job section lists various recruiters and offers advice for teachers interested in freelance work. There are over 50 country guides that contain useful advice and information specific to each country. The book is easy to use and well laid out so you can quickly find the information you need. On the down side there are a lot of adverts in the book and most of the information can be found on the Internet. 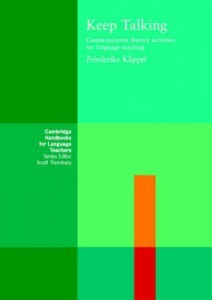 The Cambridge Guide to Teaching English to Speakers of Other Languages is a book that works as comprehensive overview to everything a teacher needs to know about TESOL. It is useful for those about to embark on some form of TEFL training. The book calls on various leaders in the field of TESOL to write individual chapters on a wide range of topics. Amongst other things the text covers teaching methods, syllabus design, using computers and the Internet to aid teaching as well as how to introduce literature into the classroom. Each chapter also contains a useful bibliography section. This is a great all round book for teachers who want to gain a grasp of the main issues in TESOL. 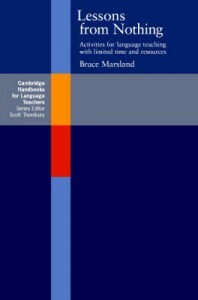 Approaches and Methods in Language Teaching is a useful book to help teachers understand a variety of TEFL teaching methods. 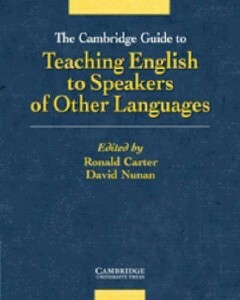 The text reads more like a history of language teaching rather than a practical guide that can used in the classroom. It’s a book that would suit more experienced teachers or those doing a higher qualification such as the DELTA or an MA in Linguistics. It is a helpful guide to understanding the different ways you can approach learners with the same material. 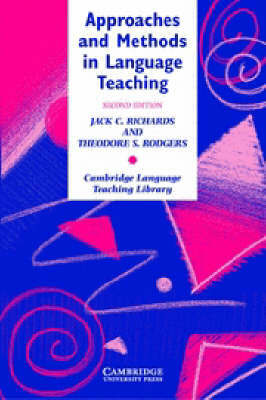 The book serves as a critique to the various language teaching methods around the world. Methods such as grammar translation and communicative language teaching are surveyed in the text. There is also a section on multiple intelligences. This chapter explains the theory of different intelligences and how a teacher can make their lessons appeal to each one.